If you have a DAW-based workflow with a keyboard controller for input, you're probably tired of having to constantly reach for your mouse. Well, those days are over. 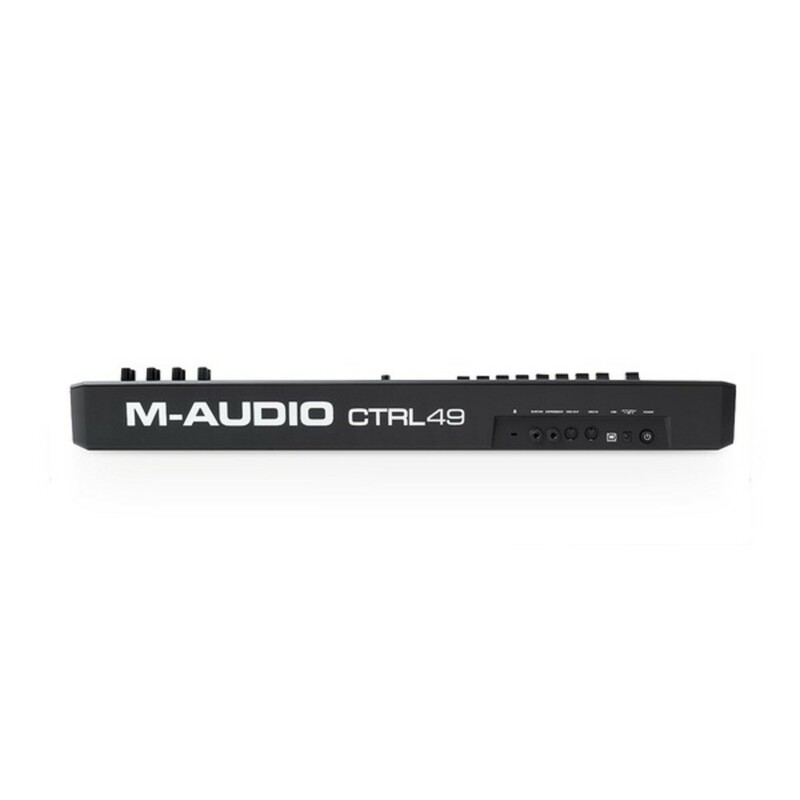 The M-Audio CTRL49 operates as one with your DAW and plug-ins. At Ragtime, we've rarely seen tighter controller integration. 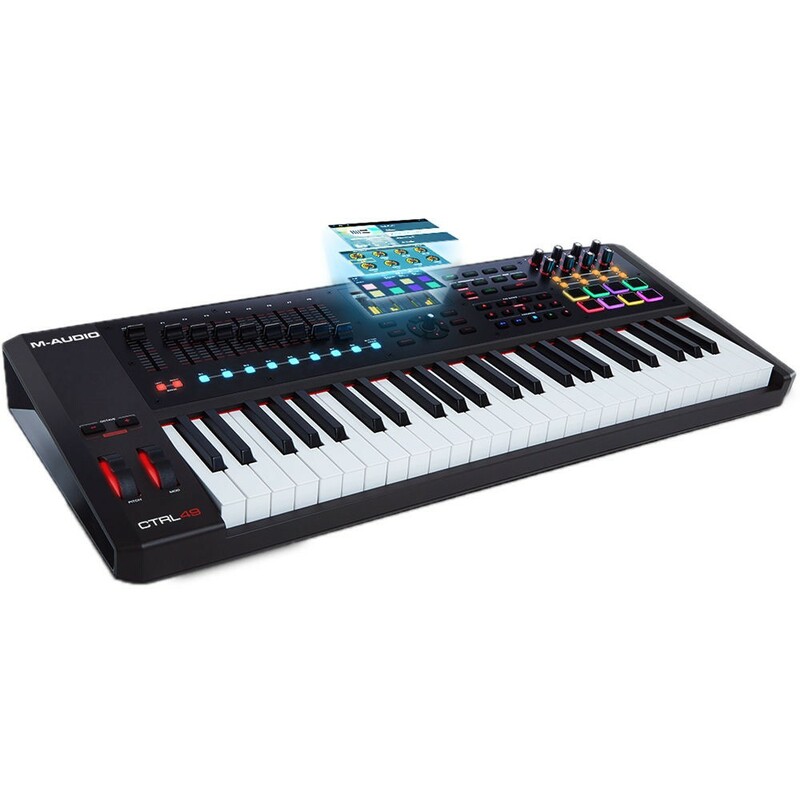 A high-end 49-key USB/MIDI controller, the CTRL49 lets you harness the power of VST instruments and effects plug-ins with its console-like layout of transport controls, faders, buttons, knobs, and performance pads - all under the control of M-Audio's Virtual Instrument Player (VIP) software. 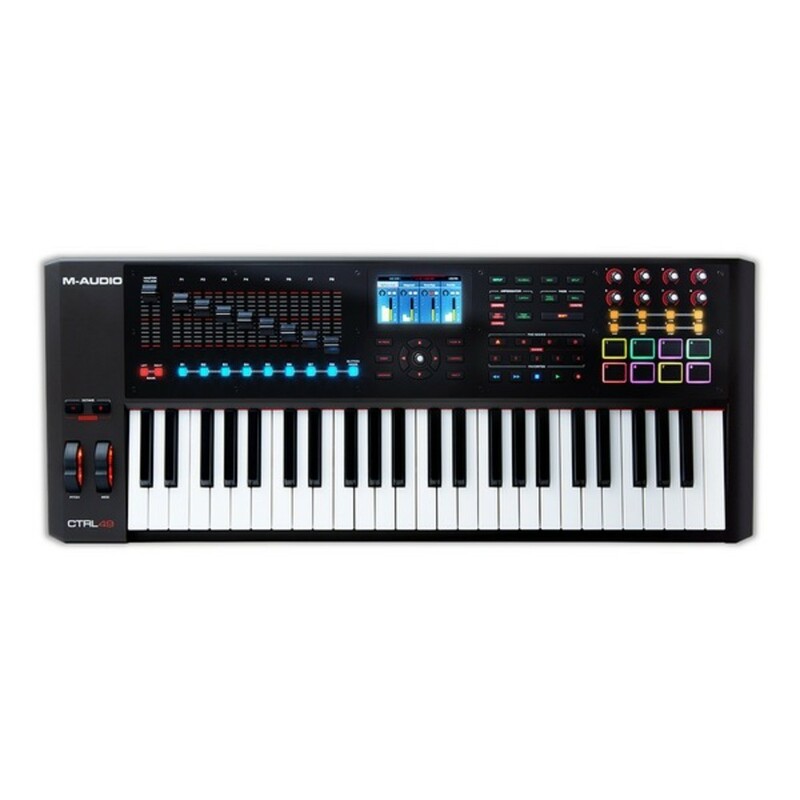 The CTRL49's integrated full-color, high-resolution display and hardware controls immediately auto-map to your VST plug-ins as well as DAW channel level, mute, solo, record, select, and transport controls - all without ever reaching for your computer. Let rip on the silky semi-weighted keybed. Lean into a note for some tasty vibrato - you've got aftertouch. Sweep that filter cutoff with an expression pedal. The M-Audio CTRL49 is the controller you've been wanting all along. Supercharge your workflow with the M-Audio CTRL49!